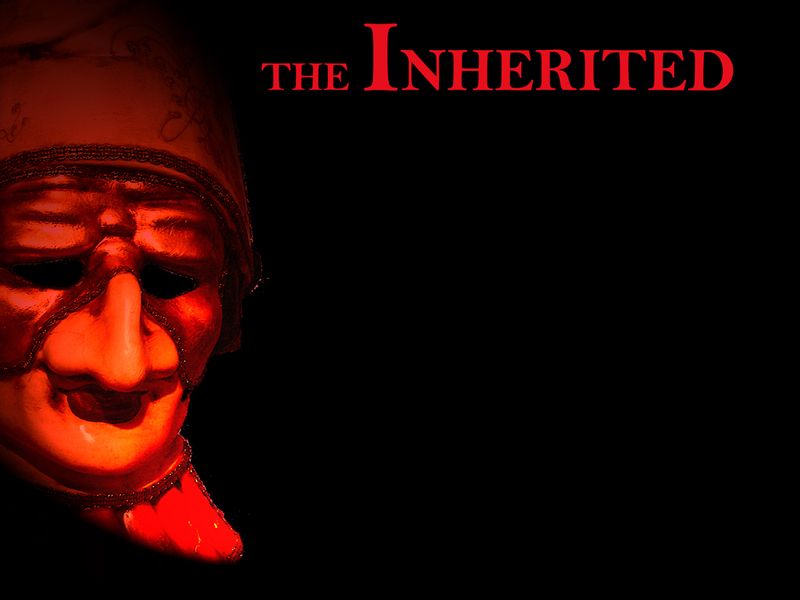 The Inherited was produced with a budget of only $15,000, and from the very beginning, money proved to be a significant challenge. The house itself needed an astronomical amount of work, significantly more than we could afford. In the end, it was only completed because of a group effort on the part of the entire cast and crew, as well as several knowledgeable friends, and even then, most of the renovations were only cosmetic. The movie itself was filmed on three Panasonic DVX100B cameras which worked nicely, but had limitations in controlling depth of field. Even though the house has 15 foot ceilings, it was difficult getting the necessary distance for certain shots. The problem was eventually overcome by filming through a large mirror, thus creating the appearance of length and overcoming immovable objects such as walls. Lighting also proved challenging. After the first week of filming, our lighting person simply disappeared. The daunting task fell upon Travis Mouisset and Aaron Schaubhut, neither of whom had any experience in the area. But always dedicated, they managed. And while their method might not have always proven the most timely, by the end of filming, they were able to meet all of the complex lighting challenges. Sound also proved difficult since our primary set was located adjacent to a busy highway, but patience on the part of both cast and crew allowed us to finally get the necessary sound quality. After primary production ended, the daunting task of post-production began. Patrick C. Clinton was in charge of editing, but everybody was more than willing to help. Jon Mount, Tyler Cross, and Aaron Schaubhut all edited some scenes to save time, and Khory Pilley assisted with sound effects. Music proved to be our final hurdle. The international band Tryad was gracious enough to allow us to include several of their songs, as well as a local band, The Dissolve. Andrew Morgan Smith, a music major at the University of Louisiana at Lafayette, proved indispensable by composing an original score for the film. In the end, The Inherited was completed because a group of people were dedicated to a dream. Every person involved wore a variety of hats, and all of them never forgot the goal, to produce a movie for which we could all be proud, and The Inherited stands as a testament of just what can be accomplished on a small budget.